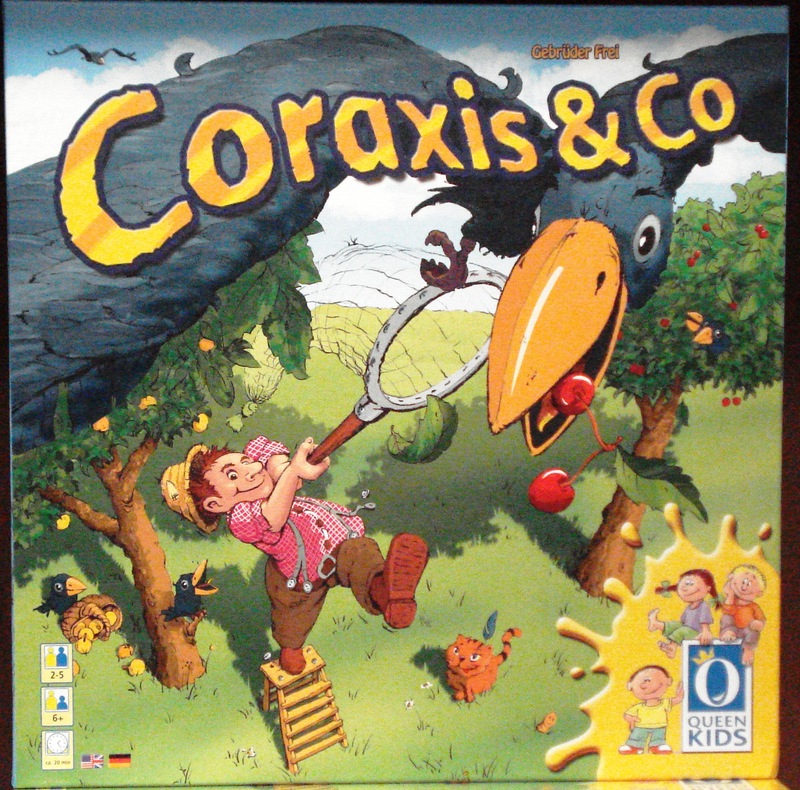 Board Game Store : EuroGames : Strategy Games : Puzzles : Off The Charts Games: Game Profile: Coraxis & Co.
A game for clever farmers and cheeky ravens! Coraxis & Co is a game for clever farmers and cheeky ravens designed for 2-5 players ages 6+. The fruit trees of Farmer Bauer and his wife, Mathilda are hanging full of delicious fruits, a bonanza for the ravens. This does not sit well with the farmer and his wife, hence the competition between humans and birds is on. In each game of Coraxis & Co one player gets to play the role of the Farmer or the Farmer's Wife and one to three players each will play the role of a Raven. On their turn the Raven players will try to uncover a combination of a raven tile and fruit tiles that match the fruit in the players' nest. The Farmer or the Wife player is trying to capture the Ravens so will need to uncover either the Farmer tile or his Wife tile and three Raven tiles. This memory game adds some additional elements that really add to the fun. When a raven and a fruit are uncovered, the fruit goes to the player and the Raven moves to the spot where the fruit used to be. Cat, worms, and even the wind can complicate the search. Cats will chase the ravens away while worms will distract the raven preventing them from getting any revealed fruit. A Raven player can win by filling their nest with fruit. The Farmer player can win by capturing all six Ravens. A good time will be captured by everyone. 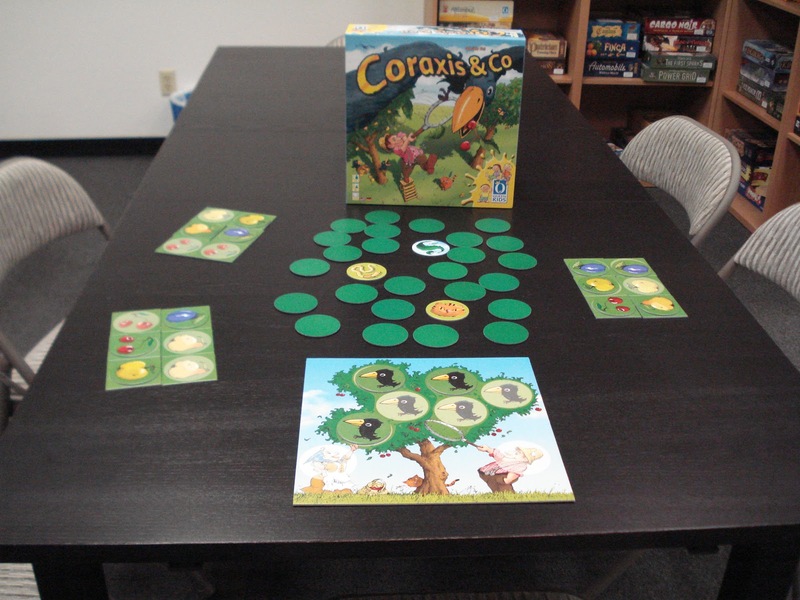 We have an open copy of Coraxis & Co available in our Store Demo Library for you come in and try out.